What does the Military Affairs Committee Do? 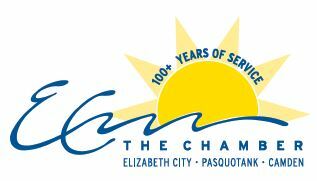 The Chamber’s Military Affairs Committee (MAC) works year-round to promote communication and interaction between the military and the businesses of Pasquotank County and Elizabeth City. The military has a significant economic impact on Elizabeth City, as millions of dollars enter our economy through the presence of active duty military personnel, civilian employees, retirees and their families. The MAC includes active duty representatives from Coast Guard Base Elizabeth City. The MAC also is proud to include Veterans from all service branches and all eras as members. The MAC strives to show our military neighbors how much we appreciate them. We take great pride in being a military friendly community and a “Coast Guard City”. The Military and Veterans Affairs Committee serves to honor active and retired military and maintain the Chamber’s partnership with Coast Guard Base Elizabeth City. The Elizabeth City Area Chamber of Commerce values service in all branches of the military and recognize the importance of providing opportunities to spotlight programs and services that benefit Elizabeth City and Pasquotank County communities. The Military Affairs Committee is committed to supporting the military families of Coast Guard Base Elizabeth City and its tenant commands, as well as all members of all branches of the Armed Forces, military retirees and their families. It is our goal to make Coast Guardsman and their families always feel welcome in Elizabeth City and Pasquotank County, whether they are just here to visit or have made it their home. We want to help enhance our communities and make it the best place for military families to live, shop, relax and enjoy. From “Coast Guard Week” to special appreciation events, we work diligently to make Elizabeth City and Pasquotank County the best neighbor to Coast Guard Base Elizabeth City and the best home to many families. We never take for granted the hard work, dedication and sacrifice that our military families make for our country and we believe we must always let them know that we, as a community, care a great deal about them. Our goal is to further strengthen the Chamber and the community’s relationship with Coast Guard Base Elizabeth City and the organizations that support and recognize the military and expand the influence and capability of the Committee through increased membership, strategic partnerships, diversity of members and enhanced sponsorship. We must enhance the broader community’s advocacy and support for the needs of our local military and ensure that appropriate attention to both preserving the existing as well as growing additional military infrastructure on the Coast Guard Base Elizabeth City complex is properly advocated. We must present, support and promote community-wide events honoring military service, customs, traditions and excellence. This committee is responsible for maintaining a strong relationship with local military representatives and working to ensure the military receives the support it needs from the local business community. The committee will continue to partner with the State of North Carolina Commander’s Council and the Military Affairs Commission to support our Coast Guard Base, celebrate America's Military and promote information sharing among the various military support organizations. • Educate the Elizabeth City community on benefits of military discounts and the promotion of the advertising by using military discount stickers and other advertisements. Are you a business owner wanting to offer a discount to our Active Duty Armed Forces? Do you want to offer a discount to our Military Retirees? Find out more on how you can offer military discounts with the Military Affairs Commission at the Elizabeth City Area Chamber of Commerce. 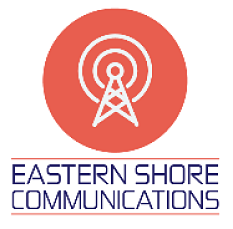 • Promote increased activity for the Honorary Commanders Program which maintains and establishes contact between Elizabeth City and Coast Guard Base Elizabeth City and increases communication and ties between the community and our military base. • Continue to conduct monthly membership meetings to inform Military Affairs members about military related issues and to inform our local military about community-related activities. o The Elizabeth City Area Chamber of Commerce Military Affairs Committee sponsors the Annual Military Service Person of the Year Award Program, celebrating the numerous contributions and honorable service of the military in our community. The awards recognize outstanding enlisted personnel, selected by their Commanding Officers, who have an outstanding military record, have made significant community contributions through their involvement in charitable volunteer efforts, and exemplify the significance the military has on our community. There will be one Award for each of the Seven Coast Guard Commands in Elizabeth City. The Military Affairs Committee will coordinate with each Command for Award Nominee Selectees by 01 October. o The Elizabeth City Area Chamber of Commerce Military Affairs Committee sponsors the Annual Military Service Volunteer of the Year Award Program. The award recognizes the military volunteer of the Year, as chosen by the selection committee. The winner is that individual who through their personal efforts both on and off duty who has had a significant impact on our local community through their involvement in charitable volunteer efforts, and exemplify the significance the military has on our community. The selectee shall demonstrate tireless performance of civic duties, and a contagious spirit of volunteerism, as well as unflagging leadership and dedication towards improving the lives of others within local and military communities. There will be one Award presented. The Military Affairs Committee will solicit nominations by 01 October. The Award shall be presented at the Chamber Annual Dinner in January. o The Elizabeth City Area Chamber of Commerce Military Affairs Committee sponsors the Annual Military Spouse of the Year Award Program. The award recognizes the military spouse of the Year, as chosen by the selection committee. The winner is that individual who demonstrates a sincere commitment towards impact on community change, volunteer efforts, personal sacrifice, professional pursuits, goals, and specific efforts to support the military community. There will be one Award presented. The Military Affairs Committee will solicit nominations by 01 October and shall form a selection committee consisting of both military members and non-military personnel. Your business can participant by offering a military discount during the month of May! The Elizabeth City Area Chamber of Commerce will be distributing a list of businesses offering a military discount to service members and their families at Coast Guard Base Elizabeth City. This list will also be available on the Chamber's website and social media. Snap a picture of you and your staff holding the official "I Support Military Families" sign and post it on your social media. Be sure to tag the Chamber in your post and we will share it with our followers. Be creative! Have fun with the picture! Make sure to include any Veterans or Military Spouse Employees in the picture as well. When considering where to live after assignment to Coast Guard Base Elizabeth City or tenant commands, keep in mind that Active Duty Military pay no North Carolina State Income Tax! In addition, we continue to offer a low cost of living and outstanding quality of life. With low overall sales tax and property tax rates, life in Elizabeth City and Pasquotank County is less taxing and more relaxing. Click here to request your free relocation packet today! Let us help you make this a smooth PCS or retirement. Our community has a long and proud tradition of sponsoring events and opportunities for our friends at Coast Guard Base Elizabeth City to enjoy. Every August 4th is Coast Guard Day and we host “Coast Guard Week” that features a variety of events for Coast Guard families and military discounts and special events at many of our local establishments. In addition, we work with our Chamber members to offer Hail and Farewells, Military Appreciation Days, Veterans Appreciation events and more. With each event, we hope to help our military families feel connected and at home in Elizabeth City and Pasquotank County. You can become even more involved by becoming a sponsor of the Military Affairs Committee as a Sponsor. (Special Recognition at all MAC Events for Sponsors) For a small yearly investment of $75, $175, $150 or $500 per year you can support the Military Affairs Committee. Your generous investment will fund the multitude of projects and services of the Military Affairs Committee. Your support allows the Military Affairs Committee to continue offering excellent programs and services such as Coast Guard Week and Military Awards Recognition events. When you become a MAC Sponsor, you help to maintain and strengthen relationships with our neighbors at Coast Guard Base Elizabeth and their families who call Elizabeth City and Pasquotank County home. If you have a desire to make a difference and support our Coast Guard members, this program is a great way to show your support. As an Eagle Ambassador you receive the latest information regarding Coast Guard Base Elizabeth City, are invited to social and networking functions with key leadership at Coast Guard Base Elizabeth City including an annual Facility Tour, and have the satisfaction of strengthening our relationship with the Coast Guard Base. To become a MAC Sponsor, download the MAC Sponsor Form from the Chamber of Commerce Website. Who is on the Military Affairs Committee? To find out more about how you can get involved with the Military Affairs Committee call the Elizabeth City Area Chamber of Commerce at (252) 335-4365.